I want others to know the joy that Questers brings to me. Truly, I am enriched by the experience of my group, and the education I’ve received, along with the inspiration it has provided for my interior design work. Hello to all my followers and visitors, I hope you are well on this fine day! In this post I want to share a topic that is near and dear to my own heart: Questers. Questers is the most wonderful group of people who love historic sites, antiques and restoration. We gather in chapters across the globe to learn more about these subjects–sometimes our meetings are in a member’s home, where we invite a speaker to share their knowledge on a specific topic. Many times we visit historic sites for private tours and an insider’s peek into wonderful collections of artifacts. Members of Steeplechasers Questers visiting an historic site on a beautiful day. I belong to a Questers chapter in my neighborhood, called Steeplechasers Questers…our group has been together for well over 30 years! The ladies in Steeplechasers (and their families) have become my dear friends over the years…I love that I have a group of like-minded individuals who share my love of Antiques, Architecture, and Interiors. Our once-monthly outings allow me opportunities to visit places I might never get to enjoy, or wouldn’t take the time to visit on my own. I’ve learned so much from listening to learned speakers on a variety of topics. Just one of the many examples of an historic property to which Questers has taken me. At one point in this mansion’s history, the property was sold to an oil company, to be used as the site for a gas station!! It was at this point the community banded together and saved the mansion from demolition in the 1950’s. Ongoing preservation efforts in houses like these are a vital part of what makes Questers chapters valuable to the community! My one great disappointment about Questers is that very few people seem to know about it. Every time I mention being a Quester, I receive a similar response: “What’s a Quester? I’ve never heard of that.” This makes me sad, and I’m eager to share more about this fantastic organization. First, I want others to know the joy that Questers brings to me. Truly, I am enriched by the experience of my group, and the education I’ve received, along with the inspiration it has provided for my interior design work. Also, Questers does good–no great–work in the community. We financially support many, many historic sites with restoration projects (each Questers Chapter has the opportunity to apply for grants toward restoration projects at the local level once every two years). These funds are for the preservation of historic buildings, landmarks, memorials, and artifacts. 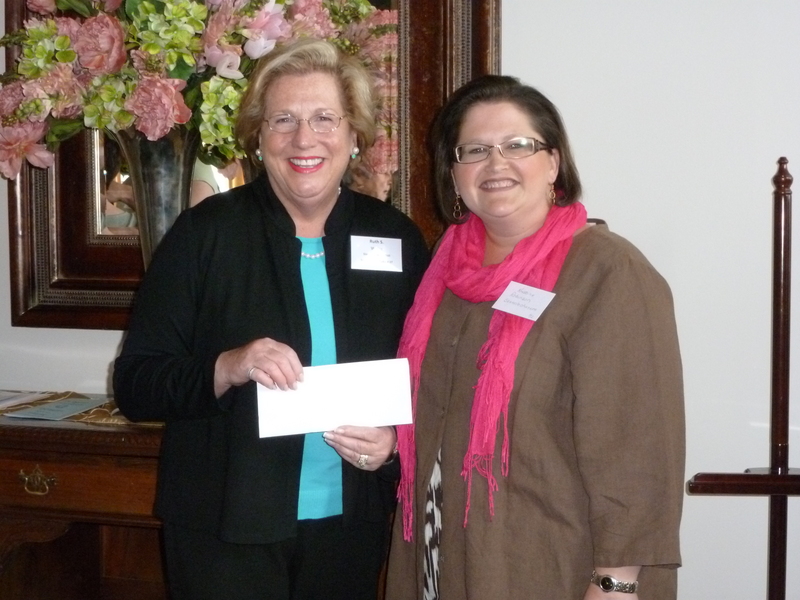 A fellow Quester and I accepting our grant check at the Pennsylvania State Questers Spring Conference. This money went to restore entry doors at an historic site in our neighborhood. Questers provides valuable international and state scholarships for students in History and Restoration Programs across the nation. 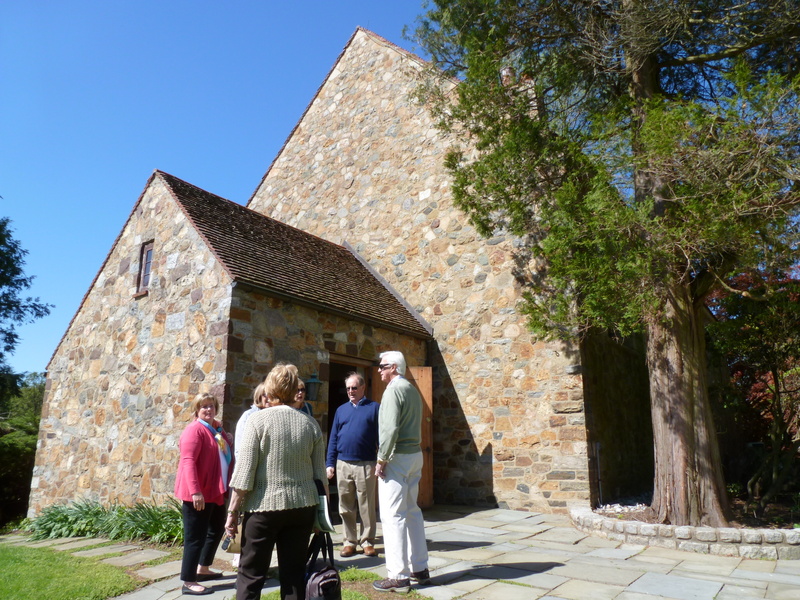 We are proud to support those who will make a difference at Historic sites in the future. Not to mention, our members are active participants in important work, donating time, effort, and money to historic projects in their own communities. Pennsylvania’s Annual Conference is held in the spring of each year. There are many opportunities annually to meet with other Questers for learning opportunities at the local, state, and national level. Questers has over 13,000 members across the globe, who are dedicated to the research, study, appreciation and preservation of antiques. 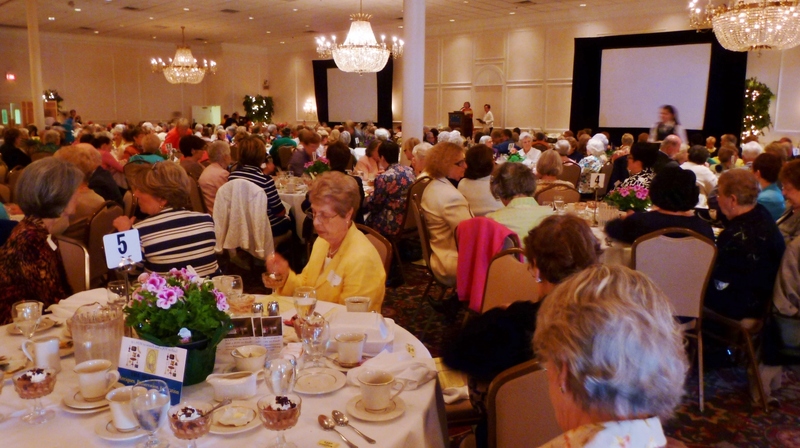 There are currently 101 Chapters in Pennsylvania alone, with over 1500 members! If you’re not in Pennsylvania, the International Questers website is http://www.questers1944.org/ There’s most certainly a chapter near you, and if not, you should consider forming a new one! It’s easy and there are people ready to help with the process. Before you go, check out this video we recently produced (featuring myself and several other Questers). It gives a lot more info on what it means to be a Quester. Next time we’ll once again visit the amazing 2014 Hampton Designer Showhouse…there are only a few more rooms left in that house for me to share with you. 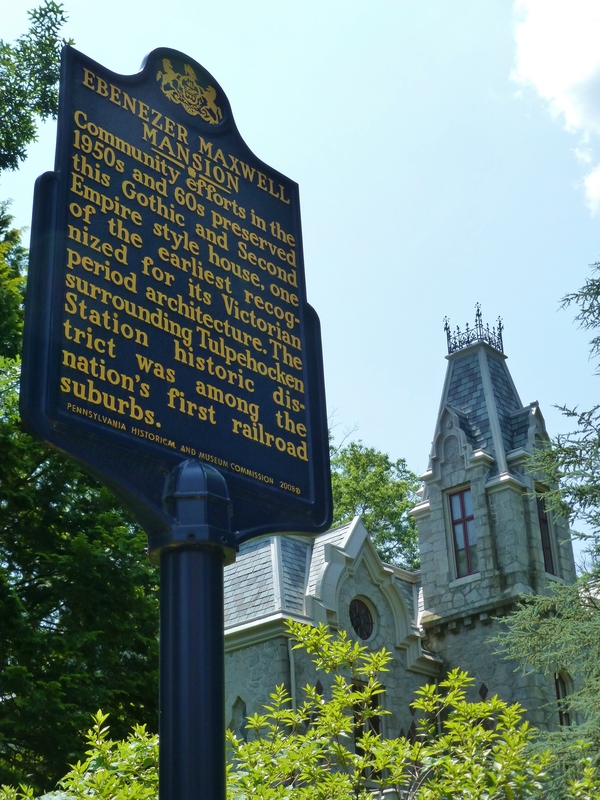 This entry was posted in Antiques, Architecture, Education, Historic Sites, Questers and tagged Artifacts, Ebenezer Maxwell, Furniture, Historic, Mansion, Museums, Pennsylvania Questers, Preservation, Questers International, Restoration, Robinson interiors, Tours. Bookmark the permalink. Kristine, What a wonderful tribute to Questers. I totally agree with you. Questers are an interesting and diverse group of people who have a lot to offer. Their interests are varied from preservation and restoration projects to sharing their love of antiques. Each chapter arranges activities that peak their curiosity. They may schedule speakers or organize trips to areas of interest. All this you showed so perfectly on your Facebook blog. Thank you. Thanks, Phyllis! I meant every word, and hope others will come to enjoy Questers as I have. You really explain so well what Questers is all about. I like that you also inserted the video and pictures to complete the story. Thank you for sharing your feelings about being a Quester member. Fortunately, I found out about Questers from a lady who was a member who shared my interest in history. It took some time, but eventually I was able to find a chapter I love and enjoy the time we have learning about history in a different way.